The data suggest that the neurocircuitry of fatigue in CFS patients may share a similar basis in the basal ganglia as is observed in other neurologic disorders and cases of basal ganglia lesions, as well as in the context of immune activation.” Miller et. al. Andrew Miller M.D. is a psychoneuroimmunologist who is deeply interested in how immune activation affects symptoms and behavior. A highly published researcher with over 200 citations, Dr. Miller has produced a rich body of work. His research has mostly focused the biological roots of depression and the effects an immune agent called interferon alpha (IFN-a) given to fight hepatitis A patients has on their symptoms and behavior. He has created a rich body of work for us to work from. He’s not a behaviorist – he doesn’t believe ME/CFS results from poor coping. In fact, when I asked him about ME/CFS at the Ottawa International IACFS/ME conference he stated he believes a pathogenic process probably plays a key role in many people with Chronic Fatigue Syndrome. Note that in the above quote he referred to ME/CFS as a neurological disorder. Miller has been taking a different approach to ME/CFS and inflammation than other researchers. The extreme fatigue and sometimes depression experienced by many (but not all) hepatitis C patients who have been given interferon alpha – a cytokine – caught his eye years ago. The IFN-a/hepatitis C/fatigue findings helped lay the foundation for our understanding of the effects of immune factors on fatigue, depression, and other symptoms of ‘sickness behavior’. They supported the idea that ‘sickness behavior’ is largely due to the immune system’s response to the pathogen, not the pathogen itself. Sickness behavior is the process whereby central nervous system processes induce feelings of fatigue, fever, and other flu-like sensations to stop an infected person from moving and cause them to take to bed, and thereby stop transmitting the pathogen to others in the community. Miller believes the ‘sickness behavior’ he finds in many hepatitis C patients given IFN-a is similar to what’s happening in Chronic Fatigue Syndrome (ME/CFS). Interferon-alpha plays a major role in combatting intracellular viruses, and as such, is used to knock down hepatitis C infections. Unfortunately, IFN-a therapy often comes at the cost of severe fatigue and even depression in a large subset of patients receiving it. It appears to particularly affect basal ganglia functioning. Miller and others have been exploring the role the basal ganglia, found in limbic system in the brain, plays in the producing the fatigue and other symptoms found in ME/CFS and other disorders. Miller starts off the paper in fascinating fashion by talking about the basal ganglia’s effects on ‘motor’ or movement problems. The first I heard researchers refer to possible ‘motor problems’ in ME/CFS was the last time the basal ganglia was brought up almost fifteen years ago by Chaudhuri and Behan. In a series of papers, one of which (Fatigue and Neurological Disorders) appeared in The Lancet and another (Fatigue and Basal Ganglia) in the Journal of Neurological Science in 2000, Chaudhuri and Behan proposed basal ganglia problems were at the epicenter of ME/CFS and other fatiguing disorder. The most recent mention of the motor cortex and ME/CFS came last years as Japanese researchers posited that an over-active fatigue enhancement neural circuit in ME/CFS stops the motor cortex from sending signals to activate the muscles. Miller points out – as Chaudhuri and Behan did back then – that fatigue is common in neurological disorders such as Parkinson’s disease and multiple sclerosis. He notes that ‘psychomotor’ slowing – one of the most consistent findings in ME/CFS – is also common in people with basal ganglia dysfunction – and that it’s also highly associated with fatigue severity. Chaudhuri and Behan went on to document increased choline concentrations in the basal ganglia of ME/CFS patients that suggested inflammation and/or ischemic conditions were present. Since then other studies have found indications of basal ganglia problems in ME/CFS, but this is the first study in over ten years to focus directly on the basal ganglia in ME/CFS. Miller did this study in collaboration with the CDC. PLoS One. 2014 May 23;9(5):e98156. doi: 10.1371/journal.pone.0098156. eCollection 2014. Decreased basal ganglia activation in subjects with chronic fatigue syndrome: association with symptoms of fatigue. Miller AH1, Jones JF2, Drake DF1, Tian H2, Unger ER2, Pagnoni G3. In this study Miller used functional MRI (fMRI) to measure the basal ganglia’s response to ‘reward’ in ME/CFS patients and healthy controls. Why focus on reward? Because it turns out that the ‘hedonic reward circuit’ Miller examined in the basal ganglia affects not just how rewarding a task is but also what our mood is, how fatigued we are and, interestingly, how well we move. The basal ganglia light up like a Christmas tree when we’re winning at something. Hitting the brain with an immune factor, such as IFN-a, however, throws that reward circuit off. An earlier study of hepatitis C patients receiving IFN-a indicated that reduced reward was highly associated with fatigue. Studies have shown that reward, fatigue, and psychomotor slowing are all associated with each other. Basal ganglia activation is tied to reward, fatigue and motor cortex activity. This isn’t true only in sick people; a study of healthy controls given a by-product of infection – an endotoxin – found reduced basal ganglia responses to reward as well. Other studies indicate that exposure to inflammatory factors reduces blood flow and activity in the basal ganglia as well. It appears that reduced ‘reward’ is another way the brain has of keeping us immobile and in bed during an infection. The big difference between the ME/CFS patients and the hepatitis C patients and healthy controls being given endotoxins, of course, is that the ME/CFS patients in this study aren’t being given anything to activate their immune systems. Their immune systems are already activated. If Miller gets the same results in the ME/CFS patients as in the interferon alpha (IFN-a) hepatitis C patients, he can suggest that the same process – immune activation – perhaps driven by a pathogen, is causing the fatigue, motor slowness, and depression. These findings provide further evidence that inflammatory stimuli, including inflammatory cytokines, target basal ganglia and dopamine function to induce behavioral changes associated with inflammation in humans. In the study ME/CFS patients and healthy controls engaged in a gambling task which they were allowed to win. While they were doing that, functional MRIs (fMRIs) were assessing the level of activity in their basal ganglia. Very strong correlations (p<.0001) between reduced activity in a section of the basal ganglia (BG) called the globus pallidus (GP) and mental fatigue as well as significant correlations between the GP and physical fatigue and reduced activity suggested damage to this section of the BG may play a key role in Chronic Fatigue Syndrome. The study suggested that rewards are less rewarding in ME/CFS than they are in healthy controls. To put it another way, the highs aren’t as high as they used to be. A recent Fibromyalgia study also suggested people with FM experienced less reward than healthy controls in the same positive situations. A great deal of past research on the basal ganglia by Miller and others allowed him to flesh out the findings dramatically. The reduced basal ganglia activity found could be affecting or be affected by several other parts of the brain. The basal ganglia, for instance, receives GABA input from the striatum. GABA, a ‘feel-good’ chemical in the brain, dampens excitation in the central nervous system and is probably the source of feelings of reward and enthusiasm we feel when we’re winning at something like gambling. The fact that those fatigued hepatitis C patients receiving interferon demonstrate lower activation of the striatum and evince basal ganglia problems similar to ME/CFS patients suggests the reduced basal ganglia activation in ME/CFS could be due to reduced inputs from the striatum – and that implicates dopamine in ME/CFS. Let’s take a look at dopamine. “The latter finding supports the hypothesis of a general hypofunctional dopaminergic system in CFS that exposes the right basal ganglia structures to a greater vulnerability.” – Miller et. al. The reduced input from the striatum is probably indicative, Miller thinks, of an under-functioning dopamine system. The lower activation in the right side (but not the left side) of the basal ganglia in ME/CFS suggests that problems with reduced dopamine functioning are found across the brain in general, not just in the basal ganglia. Dopamine, which functions as both a neurotransmitter and a hormone, plays a pivotal role in the regulation of mood, motivation, reward, psychomotor activity, and sleep-wake cycles. A wide variety of disorders including Parkinson’s, ADHD, restless leg syndrome, and schizophrenia are all associated with decreased dopamine levels. 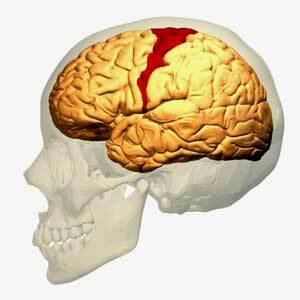 Dopamine is produced in the ventral integument area of the brain. For such a powerful agent, it is released into surprisingly few areas of the brain, including the nucleus accumbens, the prefrontal cortex, and the striatum, a.k.a. the basal ganglia. Abnormalities in all of these areas have been associated with ME/CFS, and all exert powerful influences on other parts of the brain. Japanese ME/CFS researchers recently proposed that the prefrontal cortex determines whether fatigue-reducing or fatigue-enhancing processes are activated by the brain. Note that both the nucleus accumbens and prefrontal cortex – both of which are served by the same dopaminergic neurons – have been implicated in the transition from acute to chronic pain. The striatum, which appears to be strongly associated with the fatigue produced in both ME/CFS and in IFN-administered hepatitis C patients, is heavily involved in motor control, motivation and decision-making. Dopamine neurons also project into the hypothalamus and pituitary glands, both of which have been implicated in ME/CFS. Dopamine also determines the amount of ‘effort’ it takes to engage in a task or activity. Low levels of dopamine can result in high levels of effort being needed to engage even in simple tasks. To put it another way, dopamine promotes action – except when it’s not present – in which case fatigue and inaction is the rule. The fatigue-dopamine connection can be seen in dopamine-reducing antipsychotic drugs that produce cognitively dulled and fatigued states. “Thus, the activation of inflammatory pathways by viruses or other pathogens may represent one mechanism of altered basal ganglia function leading to symptoms of fatigue in patients with CFS.” – Miller et al. One of Millers earlier papers suggested that reduced dopamine uptake may leave the central nervous system particularly vulnerable to the negative effects of inflammatory processes. This bears repeating. Miller suggests reduced dopamine may be causing your system to get overly disturbed by whatever inflammation that is present. That could result in low levels of inflammation causing high levels of fatigue, motor slowness, cognitive problems, etc. He’s not the first to suggest this kind of process is occurring. The Lights believe low signals of muscle damage are having an exaggerated effect, and Younger suggests that the microglia may be over-reacting to leptin in ME/CFS. In these scenario’s it’s the body’s reaction to a substance, not the substance itself, that is the problem. Millers findings may suggest that reduced dopamine levels could turn a mild inflammatory state into a real problem. That’s an intriguing idea given the generally low level of inflammation found in ME/CFS. This is not to say that some ME/CFS patients don’t have very high levels of inflammation, but in general my understanding is that increased but quite moderate levels of inflammation are generally found. Mild to moderate levels of inflammation are often also found in cardiovascular disorders and in a subset of patients with mood disorders. Miller’s findings suggest knocking dopamine down could predispose one to having the worst kind of sickness behavior. It actually can go both ways: an earlier primate study suggested inflammation may be knocking down dopamine which then exacerbates the effects of inflammation. Dopamine levels tanked in the basal ganglia of primates four weeks after they were given IFN-a. Studies suggest that dopamine-deprived individuals suffer from enormous fatigue, motor slowing, and depression when they’re immune-activated (i.e., given IFN-a). That means they could also be the people that get ME/CFS following an infection. This presents the possibility that an infection-produced inflammation knocks out dopamine production permanently, leaving behind a hypersensitized reaction to inflammation and resultant chronic fatigue. The Dubbo studies finding that increased cytokine levels early in an infection predispose people to ME/CFS appears to fit this scenario well. Trying to piece together the positive results from other ME/CFS studies into a coherent whole can seem overwhelming. Miller’s results appear to fit well with other recent findings. The limbic system lies in the lower region of the brain that is showing up frequently in ME/CFS studies. The linkages formed by the basal ganglia to other areas of the brain (prefrontal cortex, hypothalamus, and pituitary gland) also highlight areas of interest in ME/CFS. Where else can you get this kind of information? Take the $5 monthly recurring donation challenge and keep the information coming and Health Rising Rising. You won’t notice it, but we will . Thanks! Fascinating piece, certainly very thought provoking. The brain is just popping up all over the place. The Cook webinar on Thursday is looking at the brain and exercise. The brain / nervous system should always be prime suspect – with infection hiding somewhere within. The links with viral persistence and neurological ‘amnesty’ for infected cells a la Herpes types is just so compelling. I have never been afraid of the ‘illness behaviour’ concept – it’s obviously a deeply ingrained powerful circuit switched in for survival. Watch a cat with flu withdraw and become ‘retarded’ as the immune response ‘freezes’ the body and the brain says ‘hide until this is over’. It’s not avoidance in the anxiety sense, or lethargy in the lazy sense. Persistent infection behaviour, neurological symptoms – always described from the first noted cases. Everything is likely downstream of the nervous system, via peturbed modulatiions of the immune system – or vice versa. Very interesting! I had a rare viracella zoster flare up when I was nearing the end of Chemo for Hodgkins, which was only confirmed by spinal tap and MRI showed inflammation of optic nerve sheath. Never had herpes, didnt get any type of rash or noticeable symptoms, only severe head pain and double vision. When I completed chemo not only did I not bounce back to health but I got worse with the extreme debilitating fatigue and body aches and pain worse than ever, along with a whole laundry list of neurological symptoms. I consulted every specialist possible and had a great internist trying every test out there. About a year ago I had extreme pain again, Trigeminal Nueralgia and my neuro confirmed a flare up of VZV, which I was told would run its course and I’d return to my normal level of suffering, which has me sleeping 12-16 hrs day and in bed most of the rest. I’m interested in learning if the Varicella is the cause of my crappy life, when over 3 yrs I’ve blamed the chemo. Hi Cort my psychomotor is not decreasing, it is increasing from the frustration! One could assume then if the hypothesis is true, that NDRI would decrease ME/CFS symptoms? NDRI = Norepinephrine-dopamine reuptake inhibitor drugs. Not necessarily (and from the many reported PWME experiences not at all). First of all, Miller proved in his IFN studies the production of dopamine is disturbed, so a NDRI might not help since there is no dopamine to reuptake to begin with. Secondly, it seems that the problems with dopmaine are mostly centered in the basal ganglia, so a medication doesn’t have an effect on this specific brain area it isn’t going to do anything. I remember a paper where Miller discusses this in detail and even mentions some potential drugs (NDRI and stimulants weren’t one of them), but I can’t find it at the moment. Will update if I remember the name again. Yes right, but amphetamines (Adderall) are beneficial to many ME/CFS patients and are classed as NDRI although its profile effects are not in the classical sense of a NDRI being agonists of TAAR along with the inhibition of VMAT2. However, good avenue of research on the basal ganglia for ME/CFS. Looking forward to more research in this area. Eco, what you just said is very interesting. My Dr did try me on an NDRI. Sorry can’t remember the name but it’s new. I didn’t feel well on it. Wellbutrin on the other hand has a positive effect, so I have always thought my dopamine must be low. About 3 months ago I was started on Vyvance. This has a very positive effect on my concentration. I admit, I’ve not read the article yet, but I MUST share this exciting news, as I’m bursting at the seams. The Basal Ganglia is a DIRECT connection to a LITTLE KNOWN AND RARELY DIAGNOSED movement/neurological disorder called Dystonia. I have been diagnosed Fibro for over 20 years, but knew there’s more… Every doctor did. A little over a week ago, I went to a neuro/movement specialist/Parkinson’s/Parkinsonia specialist, who actually KNOWS about Dystonia (Dr Jeri Williams in Bakersfield, CA), and guess what… I have multiple variants. (Side note, she is putting on a symposium for Dystonia in Bakersfield on October 25, 2014… Her office would have more info.) The treatment protocol is COMPLETELY different than for Fibro and for the first time in over 25+ years, I’m getting some help. Next month, I start Botox therapy. Please… Check these sites out and share….. Early symptoms may include loss of precision muscle coordination (sometimes first manifested in declining penmanship, frequent small injuries to the hands, and dropped items), cramping pain with sustained use, and trembling. Significant muscle pain and cramping may result from very minor exertions like holding a book and turning pages. It may become difficult to find a comfortable position for arms and legs with even the minor exertions associated with holding arms crossed causing significant pain similar to restless leg syndrome. Please… Check these sites out and share…..
or Dystonomia as part of my illness. Also Mast Cell syndrome. Parkinson-The COMMON COLD have no cures only treatment.I live close to Emory and have never found anyone here to treat this effectively and we have the CDC and the best researchers here? Most of the viral manifestations are overlapping. I am going on all the sites listed and learn what I can from the Dystonia sites and quit thinking in the other realm of possibilities. THANKS CORT AND THE OTHER CONTRIBUTORS. Your synthesis of this info R O C K S, Cort. SO very appreciated. Fascinating study! Thanks for sharing, Cort. The mystery absolutely lies in the brain. Also interesting to draw a connection to the gut since endotoxin (also known as LPS) can migrate with intestinal permeability and cross the blood-brain barrier. Of note: my symptoms have benefited from supplemental GABA and precursors and this may explain a mechanism why. Look forward to seeing more about this in Part 2. I’ve had CFS for 30 years and Severe Depression and anxiety for the past 4. My doctor has found that I am incredibly sensitive to serotonin (had serotonin syndrome) and am unable to take therapeutic quantities of most drugs. She recently tried me on Bupropion (NDRI) thinking that I could benefit from a Dopamine Reuptake Inhibitor. I am now experiencing such a massive crash physically I have hardly been off the lounge in 3 weeks, with a huge increase in muscle fatigue and ache. I have since stopped the drug and haven’t yet improved. Of course depression isn’t great now either. I was interested to read that we could be experiencing low levels of Dopamine and her theory was that I could possibly get more energy from this exercise, but it seems it has had the opposite effect. What in the hell is happening? Very interesting indeed. I have been trying to find an answer as to why my medication worked on so many of my symptoms the very first day. It is a medication that increases dopamine levels, if low, which was obviously the case with me. Previously, I had come to understand that my blood flow had increased with the meds. and this seemed to have kick started improvement in the autonomic nervous system and subsequently other systems from there. I just didn’t seem to be getting anywhere with my original question; “how could my pain, fatigue, sleep disruption, mood and concentration level all be improved the first day of medication?” So it seems; basal ganglia damage and its effects could be the answer. Even more encouraging, the studies referred to in Wikipedia, that “long term use of lisdexamfetamine can decrease abnormalities in brain structure and function in subjects with ADHD and improves function in several parts of the brain such as the right caudate nucleus (right basal ganglia). Of course I understand Wikipedia is not the end all and be all of correct information but it does seem to fit what has been happening in the last five months for me as my symptoms including level of concentration continue to improve. Thank you so much for this very informative article. Again, this is encouraging news and that much more for myself and others to involve in our continuing goal to obtain the information we need to achieve good health. It is interesting that people with spinal cord trauma can experience all of the same problems as CFS/FM patients. This is documented in : Spinal Cord Medicine: Principles and Practice. Vernon W. Lin, MD, PhD is Editor in Chief. There is great detail on disordered immune, inflammatory, and hormonal abnormalities. There is an entire chapter on autonomic dysfunction. Plus, there is research indicating various brain dysfunctions – thalamus/hypothalamus and more. Disabling fatigue is also reported. Thus, it seems important to look closely at the function of the entire CNS. My very typical FM/ CFS began when a chiropractor twisted and snapped my neck. I was pain/ fatigue free ( except for right hip severe soreness after yoga ) until that day – age 49. Looking at every tree in the forest may be helpful, but someone needs to look at the ‘forest’ as a whole, functioning unit. Instability in the pelvis may be very important due to the possibility that a dropped or torqued sacrum can not only influence tension on the spinal cord and dural- meningeal system, but also change flow dynamics in the CNS. Those of us with scoliosis ( much more common in women) and pelvic differences may be more at risk. I’m sure that’s a subset. A subset of Rowe’s patients clearly have spinal cord issues. Nice article, but I’ll be more interested when this is found in a cohort that isn’t chosen using the very broad empiric criteria for CFS (Reeves et al., 2005). Not surprised to hear this but how interesting it is to find evidence suggesting that the same kind of immune activation found in hep C patients given IFN-a is occurring in this group as well. In other words, the findings fit what we would expect from an ME/CFS group. That’s very interesting..
Miller was clear to point out (in the second part coming up) that not everybody in the group had basal ganglia dysfunction and that the disorder is very heterogeneous. Pamipexole must work on the same area in the striatum corneum that does the rewards. People taking it for restless legs can find themselves getting in trouble with gambling. I’m wondering how a dopamine agonist/antagonist like ability will affect this subset of people – is there a smart drug out there that would up regulate it in the right areas of the brain without increasing it too much?